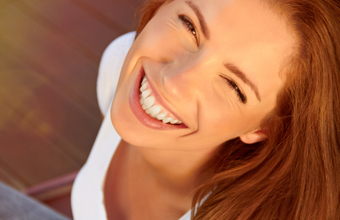 Cosmetic dentistry is changing the way we think about what’s possible for a smile. Today, it’s not just about having healthy teeth and gums -- if your pearly whites aren’t so pearly or white, there is a beautiful solution in porcelain veneers. Keep reading to learn more about how the treatment works and whether or not it is right for you! Dr. Cher Rich is pleased to offer porcelain veneers for patients in Houston, TX. Are Porcelain Veneers an Option for Me? Patients should be in suitable oral and overall health to undergo this procedure. We will recommend a checkup and cleaning before beginning any elective dental treatment. What Are the Benefits of Porcelain Veneers? Porcelain veneers offer a number of benefits for patients who wish to improve the appearance of their smiles. They are highly customizable to give you precisely the results you are hoping for -- because we know not everyone wants a bright white Hollywood smile. Veneers can be customized to match the size, shape, and color that suits your coloring and facial features best. In addition, veneers can also last for many years with proper maintenance. We can discuss tips for caring for veneers in more detail during a cosmetic consultation. The biggest benefit of porcelain veneers, however, is the fact that they can radically transform your smile in a single treatment. You won’t have to undergo many appointments or have several different services performed to love your smile. Veneers do it all! What Does the Porcelain Veneers Procedure Involve? If veneers are the right option for your smile, you can expect the treatment to take place over the course of two visits to our office. In the first, Dr. Rich will prepare your teeth to receive the veneers by removing a small portion of tooth enamel from the front surface of each tooth. Impressions and x-rays will be taken, and temporary veneers cover up the prepared teeth between visits while the veneers are created in a separate lab. When you return to our office, your veneers are ready for placement. Your cosmetic dentist in Houston will check to make sure they look as planned before bonding them securely onto the teeth that show when you smile! Most porcelain veneers last for around a decade or more. If a veneer becomes damaged, the entire piece must be replaced. Maintaining proper dental hygiene will help to ensure your veneers last for as long as possible. Gum disease and aggressive tooth brushing cause recession and can affect the appearance of your veneers, so make sure you stay on top of your good oral hygiene practices with regular brushing, flossing, and routine visits to your dentist in Houston.